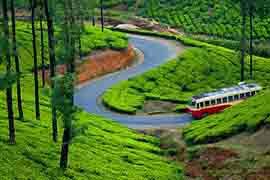 With an immaculate mix of culture, art, history, and incredible natural beauty, holidays in Kerala are fantastic. 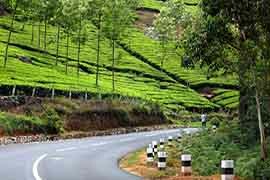 And our Scintillating Kerala Getaway package, designed for six nights and seven days, picks out the best sights of Kerala, giving you a glimpse of all that make this wonderful land ‘God’s Own Country.’ Starting from the bustling heart of Cochin and touching the unparalleled beauty of Munnar to venturing deep into the enigmatic Thekkady and Periyar Wildlife Sanctuary, the first three days will see you perambulating along the most scenic attractions of Central Kerala. 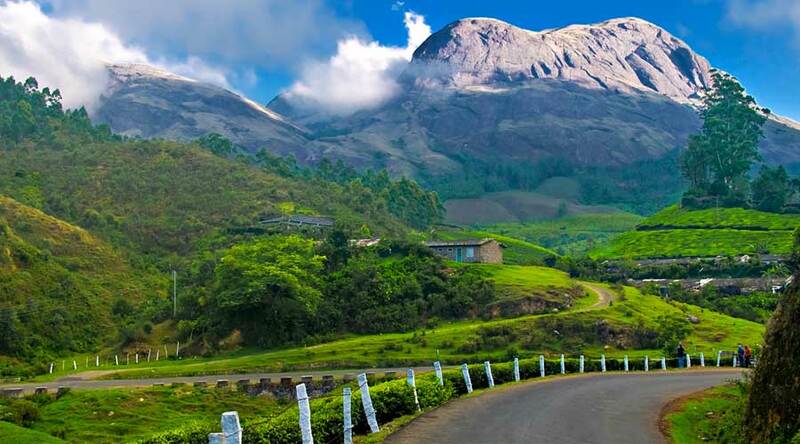 At a height of 1600 meters above the sea level, Munnar is blissfully placed at the confluence of three mountain rivers, and enchants you with its many breathtaking attractions including Devikulam Hill Station, Eravikulam National Park with some unique flora and fauna, and Pothamedu View Point offering the mind-boggling views of tea and coffee plantations. Alternatively, you’ll be in for a treat, as you explore the wild side of Kerala at Thekkady while keeping an eye out for herds of elephants, wild dogs, deer, wild boars, and gaurs during a boat cruise on Periyar Lake. A trip to Thekkady further gives you the chance to explore the tribal villages as well as the spice market in Kumili. On the fourth day, you’ll make a trip to Alleppey, some 160 kilometers away from Thekkady. You’ll relax here a whole day within the cozy comfort of a traditional wooden boat encircled by glorious views. 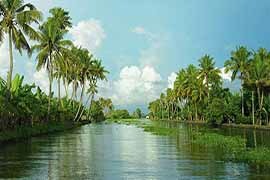 As you float along the timeless backwaters of Alleppey, breathe in fresh air, relish freshly prepared cuisines served onboard, and most of all, be amazed by the natural treasures that dot the region, such as Pathiramanal Island and Kumarakom bird sanctuary – both of which are a haven for migratory birds like darter, teal, Siberian stork etc. The next two days will allow for a comprehensive look into Kerala’s capital city, Thiruvananthapuram. Visit the internationally acclaimed beach resort of Kovalam, with three beaches like Hawa Beach, Samudra Beach, and Lighthouse Beach. You’ll also trip one of the most celebrated shrines in the city – Padmanabhaswamy Temple. A marvelous blend of Kerala and Dravida architecture styles, this highly revered temple, with Lord Vishnu as the presiding deity, holds the unique distinction of being the world’s richest Hindu temple. Set amid an expansive lush landscape in the city center, Napier Museum - boasting a great collection of antiques highlighting Kerala history - is another attraction you’ll see before the seven-day vacation ends. Whether you’re a nature lover, wildlife enthusiasts or history or culture buff, the Scintillating Kerala Getaway from Rayna Tours will certainly be the holiday of your dreams.